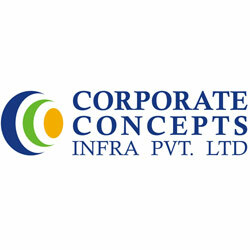 Established in year 2012, we, Corporate Concept Infra Private Limited is counted amongst the best suppliers of audio visual products. We are offering technology solutions for educational institutions and corporates. Our group of dedicated employees is constantly working towards the satisfaction of our customer. Our office is located in Gopalakrishna Street, T Nagar, Chennai 600017. We are instrumental in bringing forth an excellent assortment of Audiovisual Products for our valued clients. These are manufactured as per the requirements of our clients using high-grade raw material and advanced technology at our vendor's end. The offered machines are checked on various parameters to ensure that the manufactured product is flawless. These are used in various manufacturing industries. Under the guidance of Mr. K. Duraisamy (CEO), we have created a niche for ourselves in the market. Our offered range of products are highly appreciated by our clients due to its vast quality & features. Our pool of dexterous professionals is highly talented and capable of meeting the deadline under any circumstances. Our team includes engineers, technicians, quality controllers, researchers, warehouse & packaging experts and sales & marketing personnel. By utilizing the latest technologies and comprehensive machines & tools, our professionals try to accomplish the innovative and challenging tasks within the committed time frame. With their immense knowledge and experience, we not just fulfill the requirements of clients but also maintain amicable business relations with them. We have established a state-of-the-art infrastructure facility that sprawls over a wide area. Our unit is sectioned into production unit, quality testing unit and warehousing & packaging unit, which helps us in offering flawless range of electronic products to our valued clients. Equipped with comprehensive machines and tools, we are able to fabricate each product in line with defined industry standards. Being a trusted organization, we carry out meticulous quality inspection at each stage of the production process to ensure international quality standards electronic products. We make use of quality proven components in the manufacturing process so as to maintain excellence in the finished products. Our entire range is tested on parameters like dimensional accuracy, precision engineered designs, functional accuracy and durability to ensure zero defect products.